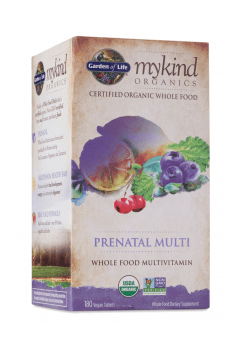 Mykind Organics Prenatal Multi 180 tab. The preparation is a perfect alternative for synthetic multivitamin complex. It provides all necessary vitamins and minerals recommended for pregnant and breast-feeding women. The high concentration of components enables using 3 tablets per day to fully cover organism’s need for the most important vitamins and minerals. It is worth to take it during a meal. Supplement that provides phosphatidylserine in a matrix of other phospholipids and cofactors. Blackberry (Rubus plicatus) is a common shrub common in the northern hemisphere in temperate climates (including Poland). The active substances are present in both the fruit (Fructus Rubi plicati) and the leaves. The plant is the source of: anthocyanins, flavonoids, inositol, organic acids, pectins, minerals and vitamins (C, B1, B2, PP and E). Used in traditional medicine as diuretic (helps get rid of excess water from the body) and diaphoretic. It participates in the processes of metabolism, preventing disturbance in the digestive tract and digestive tract. It is an antioxidant. It reduces stress and enhances immune system functioning. It is nutritive, mineralizing and vitaminizing. Fresh fruits are often used for making preserves. Onion (Allium cepa L.) - it is a raw food (raw or processed) and therapeutic (strong bactericidal effect, lowering blood pressure, increasing the body's immunity). Its root (Bulbus Cepae) is the source of many nutrients and active contains sugars, flavonoids, minerals (soluble silica, zinc, phosphorus, iodine, magnesium, manganese, potassium, sulfur, sodium, and iron), vitamins (B group and C, E, K, PP and provitamin A), pectin and mucilages. Celery (Apium graveolens) is known in antiquity, regarded as a universal drug with action: diuretic, anti-inflammatory, antipyretic and stimulating. Used as raw material for food and medical use, is the celery root (Radix Apia), celery herb (Herba Apia) and fruit (Fructus Apia) and celery seed. Rich in active ingredients alcohols, asparagine, choline, sugars, flavonoids, carotene, mineral salts (phosphorus, potassium and calcium), mucus, and vitamins (B1, B2, PP). It is used for supplementation for reducing body fat, also used are its antirheumatic properties. Peppermint (from lat. Mentha piperita) – a home of peppermint is the United Kingdom, now it is grown in many European countries, including Poland. For therapeutic purposes, peppermint leaf (Folium menthae piperatae) is used and essential oil of peppermint (Oleum Menthae piperata). It contains 30 organic compounds: tannins, flavonoids, organic acids, trace elements, carotene and vitamin C. It is analgesic, anti-inflammatory, calming and lowers blood pressure. Formulations with mint leaves are used both externally and orally, also in the form of inhalation of essential oils. Note: may cause allergy symptoms.